As summer turns to autumn we’re busy preparing for the opening of the new ancient Egypt and East Asia galleries at the National Museum of Scotland in spring 2019. In the Digital Media team we’ve been scoping, story-boarding, commissioning and writing lots of new content which will feature on touchscreens in the galleries. To help us we took a deep dive into the behaviour of our current visitors to understand how we can create the most appealing and interesting stories. Building on a recent blog post from the Museum of New Zealand Te Papa which outlined their insights into the topic, we wanted to share our findings to help others who are producing similar in-gallery content. 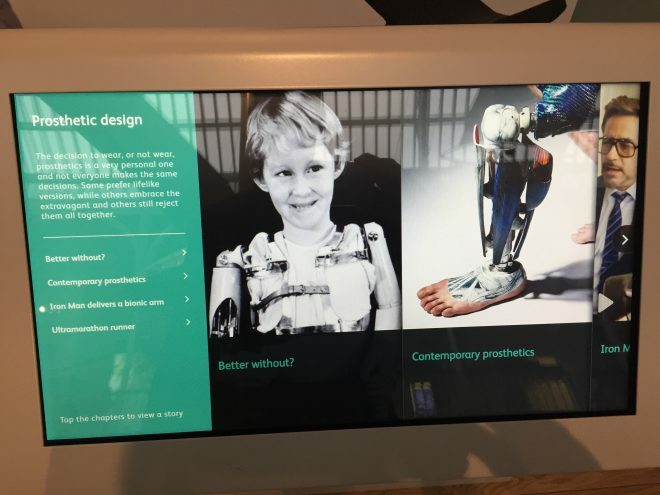 Through discussion with museums colleagues it became clear that there is no single term to describe the digital touchscreens in museums and galleries. Various people inside and outside of the museum refer to them as ‘digital exhibition labels’, ‘screens on gallery’, ‘touchscreens’, or’digital labels’ (which is the preferred National Museums Scotland terminology). These names were new to me when I arrived here at the museum, so for clarity, all these phrases simply refer to the interactive touchscreens positioned by objects in a museum. 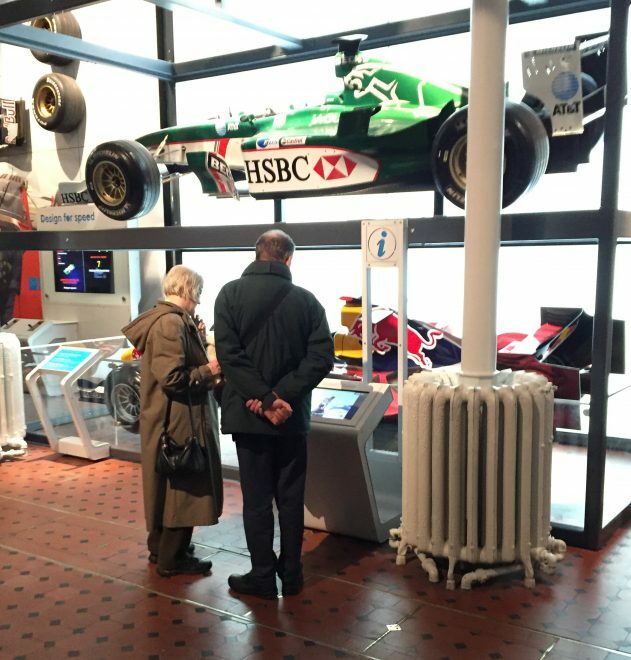 They provide a way for visitors to explore information about the objects and stories on display, and visitor feedback tells us they’re popular as they help provide a blend of interpretation and allow visitors to discover more at their own pace. 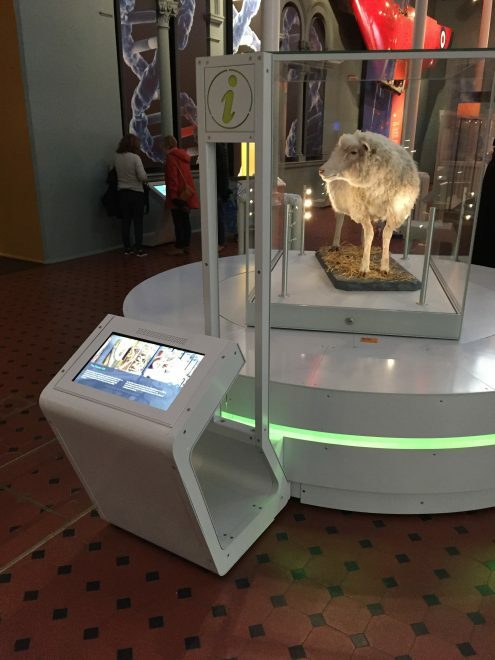 Dolly the Sheep watches over a digital label in the Explore gallery. Our research focused on numbers. Access to analytics data meant we could look at the number of people tapping each screen. This allowed us to interrogate which labels, chapters and content were most popular, and draw some insights which could be applied to the new content. It took a bit of trawling through the data – we have over 50 labels running through the same content management system (CMS) with data available for each at various levels of complexity – but we were able to spot patterns in behaviour and some some surprising results. We also tested the findings with our learning enablers and visitor experience staff to get a ‘real world’ view on the numbers, as there were some curious outliers with incredibly high view counts which were due to activity driving footfall like schools trails. Our digital labels run on a customised Umbraco CMS which was built for a previous gallery project in 2016. Each digital label tracks key interactions including taps on each chapter, video plays, screen timeouts and taps on the ‘attract’ screen (which displays when the label is not in use). Each digital label sends a daily log file of this data to our server which can then be accessed by the CMS. 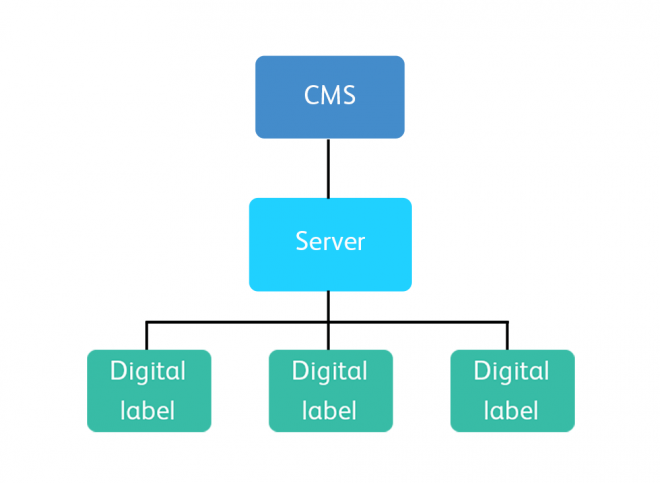 In a visual sense, the CMS provides a framework to ensure a standard content format across all digital labels, meaning the layouts and chapter structure is consistent. View count data is sent daily from each label to the server, which is accessed via an Umbraco CMS. Visitors would naturally find the most ‘interesting’ stories regardless of structure. Analytics data was only being tracked on the labels which ran through our existing Umbraco CMS setup, so this covered around five galleries. 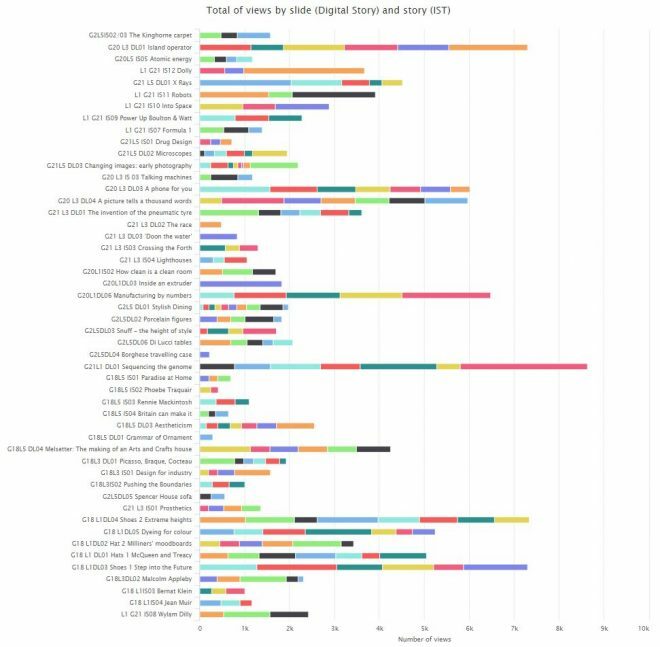 The complexity of extracting raw data from the CMS in csv files (it’s not as easy as Google Analytics) meant the research only covered the relatively quiet period between September and October 2017. For a more robust analysis we intend to re-run the numbers once we have a full year’s data. For the purpose of our research, we focused on correlations between content types, titles, and the location and positioning of the labels. However, the single biggest factor affecting engagement levels is very much a non-digital factor – is the object or gallery popular with visitors or not? Every object is unique, so while trying to draw comparisons in visitor behaviour there are no like-for-like comparisons when it comes to objects in the museum. Analytics data on the CMS shows us which labels and chapters receive the most views. We found that location was the single biggest factor in influencing label views. The data confirmed that objects (and therefore digital labels) closest to the most common museum entry points saw the highest footfall, and therefore label engagement. This contrasted to our assumption that labels next to the most popular objects would see more views. The orientation of the label screen also played a significant role. The labels which were angled away from the visitor’s eyeline as they stood in front of an object had fewer views. The direction of the digital label also played a part in how visitors interacted. We found that labels facing visitors as they entered a gallery would benefit from more views, whereas those angled away from oncoming footfall were more easily missed. 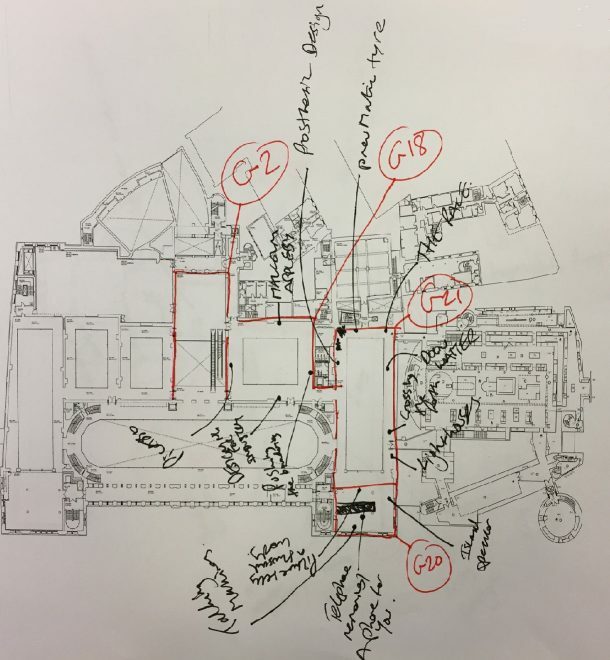 The same logic applied to the rest of the visitor journey through the museum, so digital labels on the ground floor would see more engagement than the first floor, and the first floor more than the second floor etc. So, contrary to our assumption, visitor flow had a greater influence on label popularity than the objects or content on the labels themselves. The data allowed us to visually map out common visitor routes, which made for interesting reading. Mapping label popularity revealed some common visitor journeys. We also assumed that the content we considered to be interesting would be found and enjoyed by visitors, but the data dispelled this myth. Visitor behaviour was linear as they progressed through chapter screens, regardless of which content types were offered to them. 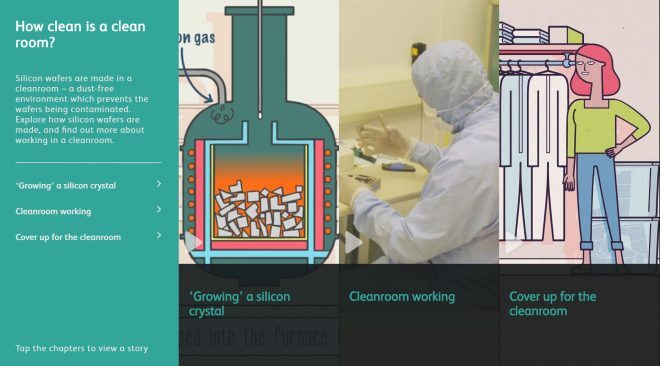 This was a key lesson in how we are story-boarding the new digital label content. Each label presents a menu of chapters. We wrongly assumed that visitors would be attracted more to dynamic content (video, animation), but we found they viewed chapters in order left to right. Visitors more commonly tapped into chapters which used an image of the object in front of them. Telling stories about the history and cultural significance of an object is great, but if you don’t make an explicit visual connection on the top screen, visitors may not make the quick connection that the digital label is related to what they’re looking at, and move on. Using the top screen to make a visual connection to the objects on display is essential. Just because you have unlimited space doesn’t mean you should fill it! Curators who are pressured to cut down their copy for physical object labels will understandably jump at the chance to publish more content on a digital screen if given the chance. However, the data told us that visitors were rarely scrolling beyond the initial chapters presented on the menu screen. Many labels had four or five chapters, but visitors mostly didn’t get beyond three. Many labels had four or five chapters, but most visitors didn’t get past the third as the screen design ‘hid’ them and required scrolling. The fourth chapter in this label (Ultramarathon runner) received fewer views due to this layout issue. What does this mean for the new galleries? It means we’re much more informed about how we can create content for the new galleries, and make better decisions about how we format and present content to give it the best chance of being seen by more visitors. Ensure label hardware is positioned and oriented with visitor flow in mind. Order chapters to highlight the richest content first (eg, if you’re delivering detailed graphic animation, make sure it’s likely to be seen). Make labels as explicit as possible – make a visual connection between the object and the label content (particularly the first chapter). Think ‘less is more’. Making visitors work hard to find content in a deep structure is a bad idea. A clear top-line chapter structure is much easier to navigate. We’re looking forward to showing off the new stories early next year, so come and see us in spring 2019 and let us know what what you think. Do you have any tips or best practice? Share them in the comments below. Can’t make out the details, but is there any data from Islamic galleries/displays at all?